Dr. Tan is Professor of Imaging Sciences at the University of Rochester Medical Center and Chief of Medical Imaging at Highland Hospital. He received his Bachelor's Degree in Biology and History at Union College and his M.D. from Albany Medical College through the Accelerated BS/MD program. At the University of Rochester he completed his radiology residency and served as Chief Resident. 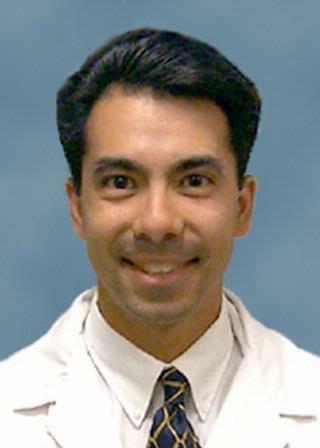 Dr. Tan completed his fellowship in Musculoskeletal Imaging at the University of Rochester. His primary specialties are musculoskeletal imaging, gastrointestinal imaging, and magnetic resonance imaging (MRI), but his clinical practice covers the spectrum of medical imaging. Dr Tan has had several research collaborations, most recently with the Department of Orthopedics. Dr Tan led Highland Hospital's team at the ACR national research trial on Virtual Colonoscopy and was the first to offer this technology in Western New York. His expertise in this modality is well known, and he has lectured on it extensively. Among his publications Professor Tan co-authored a textbook on MRI that has been translated into seven languages. Dr Tan serves on numerous clinical and administrative committees at Highland Hospital and in the Department of Imaging Sciences at the University of Rochester. Tan, R., Kallay, M., (PI), InterMune Pharmaceuticals, A Randomized, Double-blind, Placebo-controlled Phase III Study of the Safety and Efficacy of Subcutaneous Recombinant Interferon gamma-1b in Patients with Idiopathic Pulmonary Fibrosis 2000-2002. Tan, R., Kallay, M., (PI), Intermune Pharmaceuticals, Effects of Interferon Gamma 1b on Biomarkers in Patients with Idiopathic Pulmonary Fibrosis: a Randomized, Double-blind Study, 2002. Tan, R., Kallay, M., (PI), Intermune Pharmaceuticals, A Randomized, Double-blind, Placebo-controlled, Phase III Study of the Safety and Efficacy of Interferon Gamma – 1b in Patients with Idiopathic Pulmonary Fibrosis, 2004. Tan, R., Kallay, M., (PI), PANTHER-IPF – Prednisone, Azathioprine, and N-acetylcysteine: A Study That Evaluates Response in Idiopathic Pulmonary Fibrosis, A Randomized, Double Blind, Placebo Controlled Trial. Initiation September, 2009. Tan, R., Kallay, M., (PI), PIPF-016 – A Randomized Double-Blind, Placebo-Controlled, Phase 3 Study of the Efficacy and Safety of Pirfenidone in Patients with Idiopathic Pulmonary Fibrosis. Initiation June, 2011. Gilead – GS-US-322-0207 – A Phase 2, Randomized, Double-Blind, Placebo-Controlled, Multi-Center Study to Assess the Efficacy and Safety of Simtuzumab in Subjects with Idiopathic Pulmonary Fibrosis, October, 2012.
Genentech – GB28547 RIFF - A Phase II, Randomized, Double-blind, Placebo-controlled, Study to assess the Efficacy and Safety of Llebrikizumab in Patients with Idiopathic Pulmonary Fibrosis, April, 2013. Bristol Myers Squibb – BMS - IM136003 – Safety and Efficacy of A Lysophosphatidic Acid Receptor Antagonist in Idiopathic Pulmonary Fibrosis, August, 2013. DiGiovanni BF, Diliberto FE, Tome J, Tan RK, Nawoczenski DA: R15 AREA Grant,"A Prospective Analysis of Biomechanical Foot Function Following an Isolated Gastrocnemius Recession for Achilles Tendinopathy, September, 2014. Tan, R., Monu, J.U.V. "MR Imaging of Benign Non-Arthritic Synovial Proliferative Disorders". Clinical Magnetic Resonance Society Vision. 2000; . Author List: Burgener F.A., Meyers S.P., Tan, R.K., Zaunbauer W.
Book Title: Diagnosi differenziale nella risonanza magnetica nucleare. Author List: Burgener F.A., Meyers S.P., Tan R.K., Zaunbauer W.